Strong and robust stacker. Equipped with foot and hand pump for the best ergonomics. 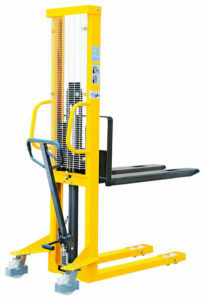 Ergonomically designed stacker with a foot pump, guards both the back and the shoulders. It is also possible to use the handle to pump up the forks. 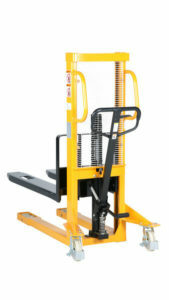 The stackers are built for professional use and supplied with a foot brake on both wheels.